What is the cost of Vella Shape II? 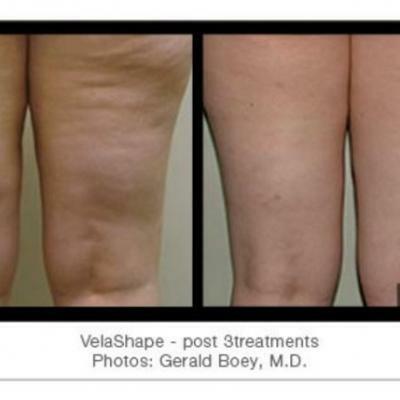 The cost of Vella Shape II treatment varies for different part of body areas. Please contact us for full details. Unfortunately, there is no definite explanation for why cellulite occurs. Often, cellulite is associated with an unhealthy lifestyle. This may be true for some, but there are other reasons why cellulite occurs. It could be genetics or it can be due to hormonal changes. One fact remains true: an estimated 85% to 98% of women over 16 have cellulite no matter what size, shape or weight they are. Who is the ideal candidate for vela shape? An ideal candidate for VelaShape is someone who eats right and exercises routinely with a Body Mass Index(BMI) of less than 30. VelaShape is not a weight loss solution nor is it an alternative to surgical procedures like liposuction. During your VelaShape consultation, your physician can advise if VelaShape is right for you. Gradual improvement of the treated area can be seen following the first treatment—with the skin surface of the treated area feeling smoother and firmer. Results in circumference reduction is seen from the first to second session and cellulite improvement is noticed in as few as 4 sessions. In clinical trials, the average range of circumferential reduction was 0.5 – 3 inches. Treatment is safe and effective for all skin types and colours. There are no reported short- or long-term health effects. Most patients find VelaShape comfortable—like a warm deep tissue massage. The treatment is designed to accommodate your sensitivity and comfort level. It is normal to experience a warm sensation for a few hours post-treatment. Your skin may also appear pink for several hours.